Most homeowners tackle their landscaping to improve the curb appeal of their home. But as a contractor, I can tell you that good landscaping goes beyond the curb appeal. 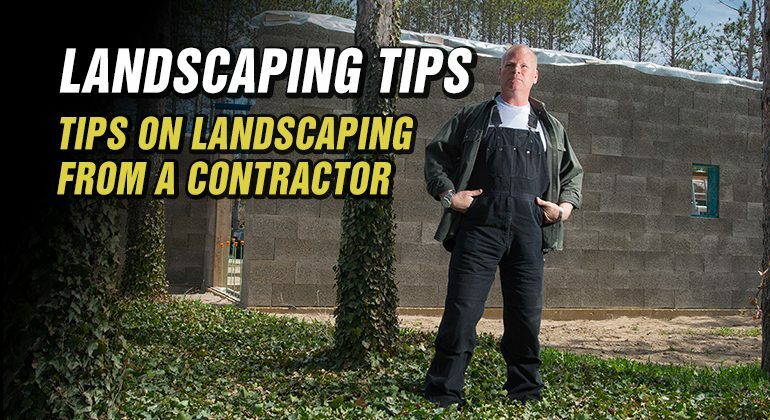 Landscaping has a function, and it’s up to you to figure out what that function is. Landscaping can also protect the exterior of your house from the elements and the sun. How will you be using your yard? Will children be safe while playing? Are you looking to protect your home from sun and heat? Think about how you can take advantage of sunlight in the winter and block the sun in the summer. Do you need to add more privacy features? Do you have kids that you want to keep in view when they are playing outside? Are you selling your house? The exterior of your home is a big part of the first impression from a potential homebuyer. it pays to make your home as attractive to as many buyers as possible. There are simple landscaping jobs that homeowners can tackle such as painting, clearing yard waste and planting in your planters. 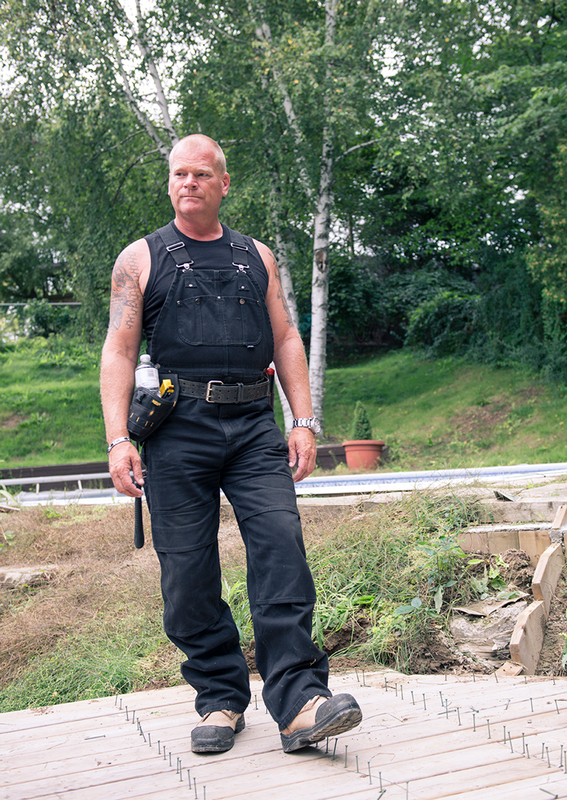 But if your landscaping plans go beyond that, I would recommend bringing in a professional. For example, incorrectly laying down interlocking can create major issues. Without properly compacting the soil and gravel underneath the stone, that soil could sink, allowing water to pool – or worse, flow right toward your foundation. A job done poorly on the outside of your home can actually cause big problems inside. Here’s another thought when planning out your landscaping. Think about installing a greywater recycling system. A professional landscaper can help you design a grey water for your home. Greywater recycling can help homeowners save money every month, reduce the strain on city water supplies and sewage treatments, especially during dry summer months, and help save the environment. Homeowners love the look of a garden close to their home but it’s more important to have some space between your garden and your home. Water is your home’s #1 enemy. So should you be planting right up against your foundation? Water needs to drain away from your home’s exterior. That’s why proper grading is so important. If water flows back toward your foundation, it will find a way to seep in to your house. And then you are dealing with issues like mold. Even the slightest shift in your grading can have a negative impact. If you are building a garden right next to your home, you will be disturbing the soil directly against your foundation. And with more airspace created by soil that’s not as firmly packed down, water has more opportunity to leak through to your basement. I love big trees – they can provide a lot of much needed shade on your property. They can also keep the sun from heating your home excessively in the summer time. But it is important to maintain your trees so that they don’t cause damage to your outdoor structures. Keep a close eye on any trees on your property, but especially those that are really close to your home. Keep any branches that extend over your roofline trimmed and maintained. You want to prevent debris from falling onto your roof, potentially jamming up your gutters. Clogged gutters can lead to severe issues with your roof. If your eavestrough is leaking, you can use a sealant like SikaFlex to fix the issue. Dead branches? Have them removed right away. Don’t wait for a major storm to damage your roof. I’m a contractor, not a landscaper but I do care about landscaping. Why? Because landscaping affects a home on the inside, not just its curb appeal.